What is there to say about Mariusz that hasn’t been written in loads of Mummy’s books, and on the blog when he died, and in Auntie Dawn’s blog too? 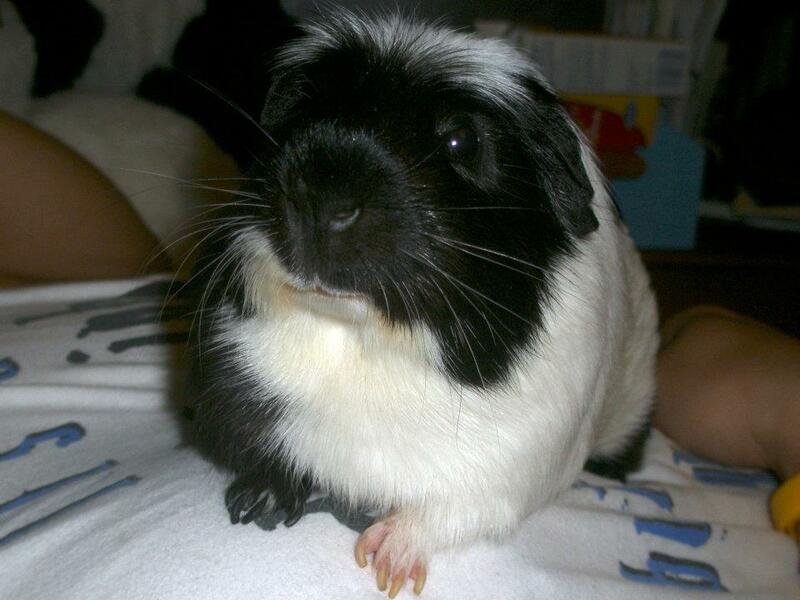 Mariusz was an American black and white crested Guinea Pig With Attitude. He was the Attitude-most pig in the world until I came along, but I don’t think I’ve caught up with him yet. He would roam around Auntie Dawn’s apartment poking his nose into everything, food bags, sofas, magazines, dirty underclothes (mm, must try that some time), and even iPhone cords (Very tasty, he said, but that wasn’t what Auntie Dawn said!). He lived with the very quiet and sensible Saku and both of them got into Mummy’s first book The Princelings of the East. Then Mummy was sad she couldn’t write more about him because he was ‘the baddie’, so he got his own book, The Traveler in Black and White, which is written in American because he tells it himself. He turns up in Bravo Victor as well. And Mummy says he’ll be in Book Seven, currently called the Chronicles of Willoughby the Narrator, and he’ll also be in the last book of the series. That’s not fair, I haven’t been in any of the main books yet (although I do have one of my own). 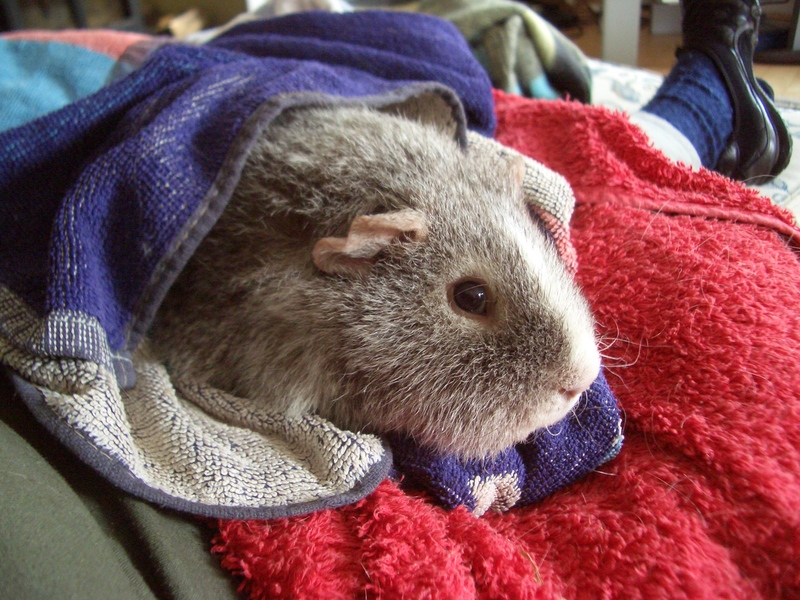 Some people suggested Mummy shouldn’t have a guinea pig on the front of her books, so she’s going to change the cover, to something like this (it’s just a draft). What do you think? Mariusz is a legend. I’m trying to be like him. That he was. I don’t think anyone could catch up with him, but you’ve come as close as a pig could. Why do you think I call you Dyliusz? XO. He would be very proud of you. Don’t worry about being like him. You can be most like him by being yourself. Mummy captured his spirit perfectly in her books. He was a bit of a baddie in that he didn’t follow rules and had his own, often inscrutable, agenda. However, he had a good heart and always loved and trusted his momma. That’s what counted. I miss him more than I can say in words. Mummy knows.